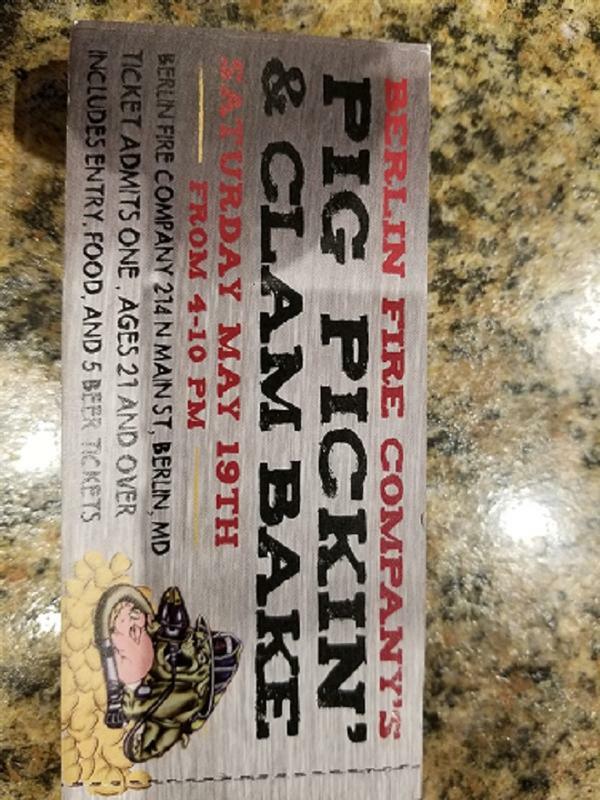 Join us on Saturday, May 19 from 4 pm to 10 pm for our Pig Pickin and Clam Bake Tickets are $35 in advance and $40 day of event Ticket purchases are non-refundable. 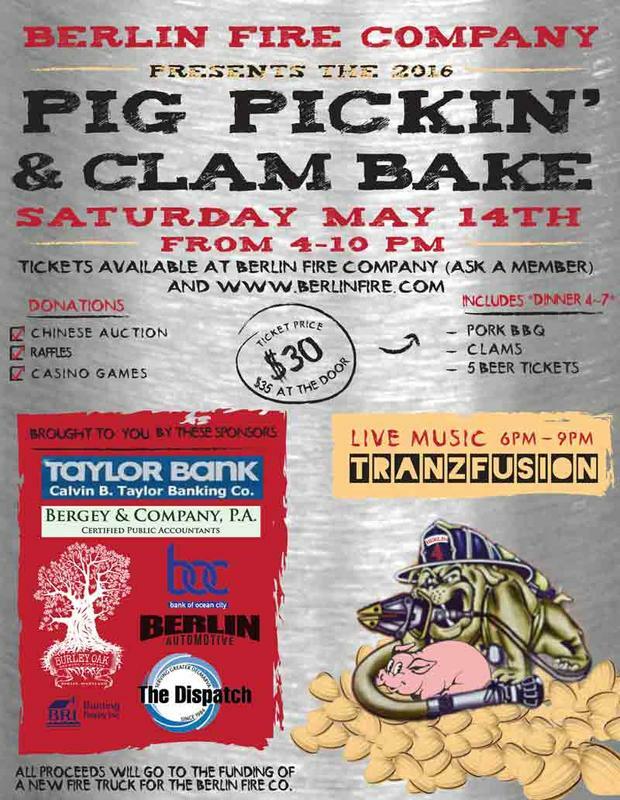 Join us May 14th from 4pm to 10pm for great local pork, clams, beer, and live music! We will have auctions and raffles throughout the evening as well as a casino night! All funds raised will go directly to the funding of a needed fire truck for the Berlin Fire Company.